Our brief from advertising agency McCann, for Lockheed Martin, was to transport young students to the surface of mars, in a school bus, without them realizing what was about the happen. The school bus would have to drive around Washington D.C., all the while maintaining all the legal requirements of a safe and legal vehicle. The entire experience, including being able to look out of the windows initially, had to be powered by what could fit inside the bus. With the first manned mission to Mars slated to occur within the next two decades, equipping students with the skills to pursue STEM education is more important than ever. And we knew it was our job to help inspire their sense of possibility and ignite their passion for the critical skills needed to get humans to deep space. However, we were facing some daunting statistics— we knew that just telling students they could be the first person on Mars wasn’t enough. We needed them to believe it. So we reached out to those future scientists, explorers, and pioneers—elementary and middle school students—and showed them, their parents and teachers, and the world just how close our future on Mars really is. To inspire the first generation that will travel to Mars, we brought the Red Planet closer than it has ever been before via the first-ever group virtual reality experience. 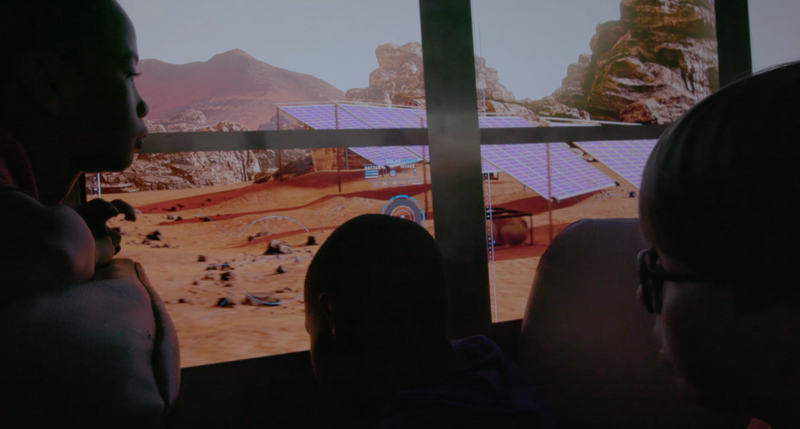 We transformed a classic school bus into an immersive, moving field trip where passengers can see, hear and feel what the surface of Mars is like, and do so as a shared experience without headsets or goggles. Our first riders, D.C.-area students, thought they were going on a normal field trip. As the windows transformed to reveal the Martian landscape, we surprised them with a field trip unlike any other.By creating this first-of-its-kind technology to bring Mars to Earth, we’re using innovation to inspire an entire generation to realize how much further they can truly go. Over the course of six months, we designed a group virtual reality vehicle experience. 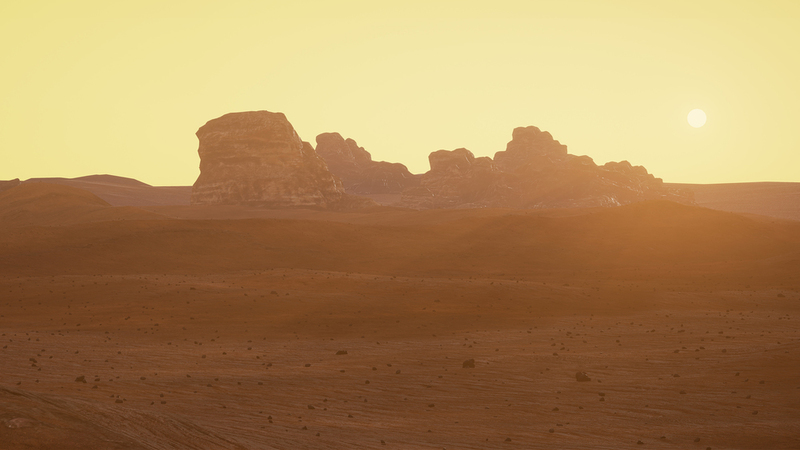 We started by creating 200 square miles of Mars’ surface using Unreal 4. We then mapped the Mars surface to the real streets of D.C, and showcased geological features, the Curiosity rover, a realistic base camp and a massive Martian dust storm.And then we bought a school bus.We completely gutted the bus to install our custom-built switchable electric glass screens that transitioned from transparent to opaque, and paired them with 4K transparent LCD displays. 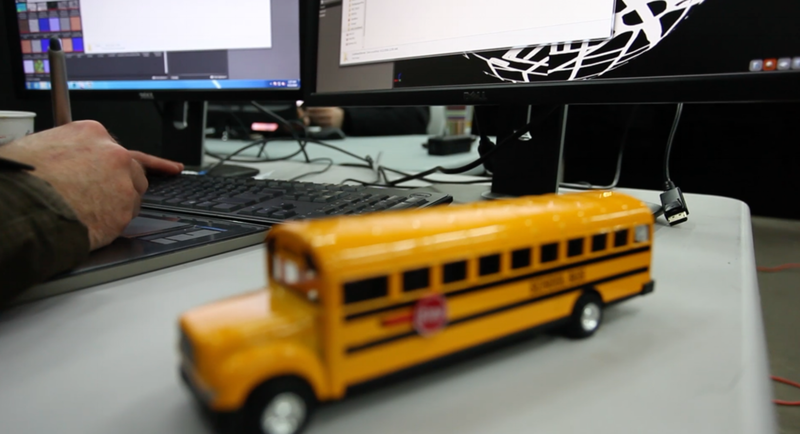 We then re-outfitted the bus to make it look and feel like any other school bus.By integrating our virtual Mars surface, custom screen technology, GPS, 3-axis accelerometer, magnetometer, and laser surface velocimeter, the bus became our virtual reality “headset”. When the bus moved, the surface moved; and when the bus turned, we turned on Mars too. 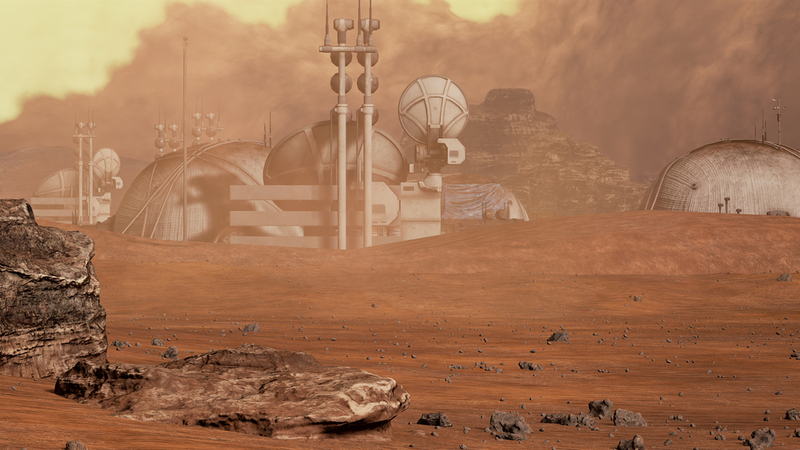 Our virtual reality Mars experience debuted at the USA Science & Engineering Festival and was a huge hit. Over 2,500 attendees took the trip to Mars, even waiting up to an hour and a half to try out the revolutionary experience. Festival-goers weren’t the only ones to take notice. Since our inaugural field trip on April 15, videos featuring the virtual field trip have been viewed over 2.5 million times and we have generated over 120 million impressions. The day after launch, the bus was a trending topic on Facebook for more than 24 hours, and social conversation spread to over 50 countries. The VR experience received industry recognition at Cannes Lions 2016 Festival of Creativity. Winning a total of 19 Lions - One Innovation Lions, five gold Lions, seven silver Lions and six bronze Lions.